We’re crazy excited to announce that the animated films of COMFORT ARTHUR andFRANCIS Y. BROWN have been nominated in the Golden Animation category of theGolden Movie Awards. You’re walking down the street when you hear something loud from behind you with such force that your hairs briefly rise in alarm. Instinct kicks in and you step to the side then look behind you. You kiss your teeth, smirk and amusingly scold yourself for the silly scare. In fact, you look on nostalgically as a bunch of kids zoom past you in what looks like a wheelbarrow race but really is just them pushing old car tires with sticks in them, sometimes with water for lubrication. 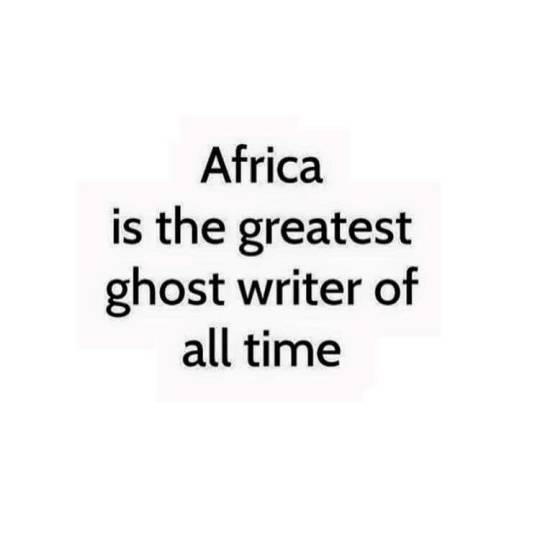 I interpreted “Africa is the greatest ghost writer of all time” wrongly the first time, thinking it alluded to the phenomena of having our narratives told by other cultures. Dissecting the phrase further led to an epiphany that the continent is the foundation of many of the world’s stories, many of such (remove second stories)stories that too often refuse to acknowledge her as their muse. Looking at it again, this new understanding doesn’t stray too far from the original. Other people are after all telling our stories while we take a most unprofitable backseat trunk rest. I love comics at heart. I know this because I’m online everyday looking for them. But not the kind you’re thinking. There’s an overwhelming pool of content from established names like DC, Marvel and DarkHorse, each telling stories well suited to specific demographics. Stories that while beautiful and easily relatable, are strange and so distant from us. I scour the internet for entirely African created content and while there are quite a few, I’ve noticed a problematic trend. Nigeria has sort of become the locus of African comics, superhero titles anyway. above all, I’m not Simon Pegg. shortness of their palsy breath. it’s time to stick together and act.